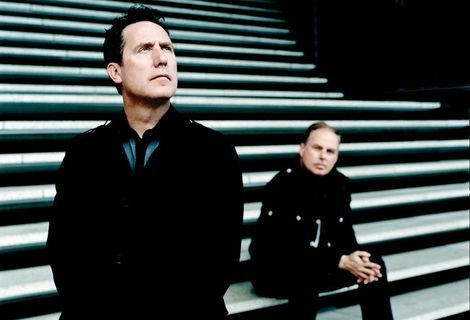 Seminal electronic Wirral outfit Orchestral Manoeuvres in the Dark return with Atomic Ranch ahead of new album English Electric and Liverpool date. OMD have offered up a taster from their new album English Electric out April 8. Atomic Ranch features an animated video directed by German graphic designer Henning M. Lederer. An unnerving dose of clattering radioactive synths, Atomic Ranch turns its hand to satire using computerised voices to explore social conventions, Utopian dreams and dystopian realities. Andy McCluskey and Paul Humphreys‘ new album, English Electric (released on 100% Records) is a 12-track letter to technology, space, love and a grand return to form for a band whose 1980 hit Enola Gay occupied the world’s stage at last year’s Olympics Opening Ceremony. It’s the follow-up to 2010’s History of Modern and OMD’s twelfth album to date. The original four-piece – McCluskey, Humphreys, Malcolm Holmes and Martin Cooper reunite this spring, to commemorate the band’s 35th anniversary, including Liverpool’s Empire Theatre on the closing night of their tour on Tuesday May 14. John Foxx and The Maths will provide suitably sonic tour support.